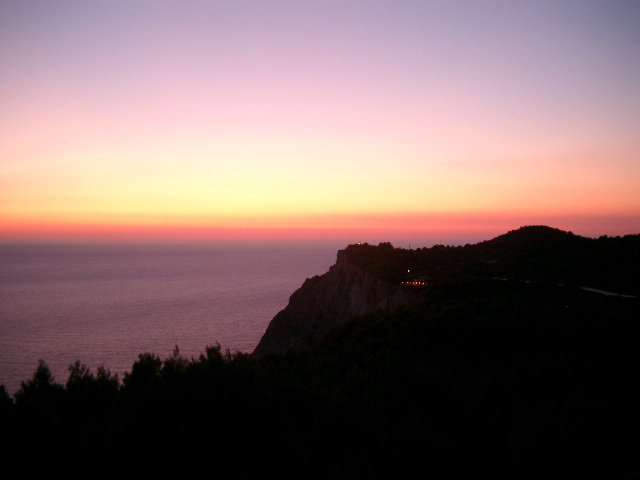 In August every day many persons go to the lighthouse to admire the sun diving in the sea at sunset and the sky nuances before darkness. 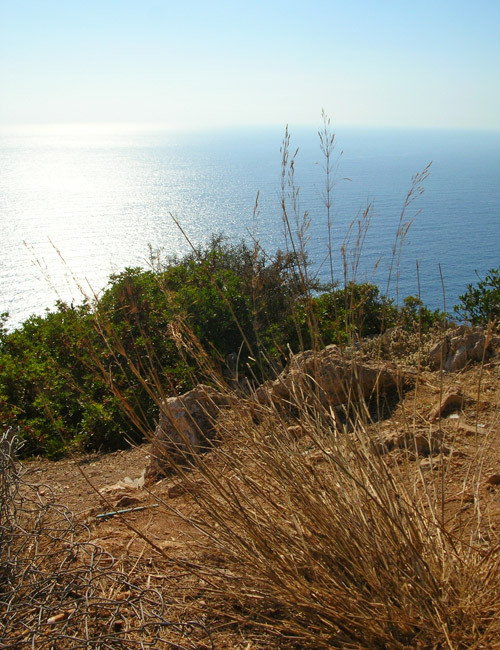 Next to the small lighthouse erected on the top of the promontory, it is possible to park the car in a no asphalted square projecting on the sea and from where you can contemplate an incomparable view. 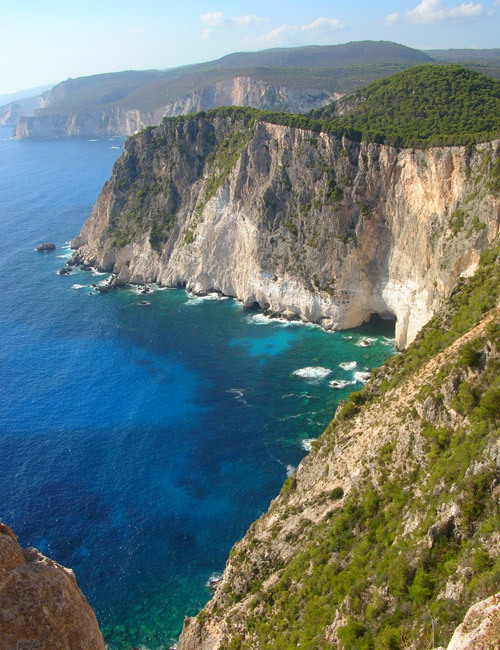 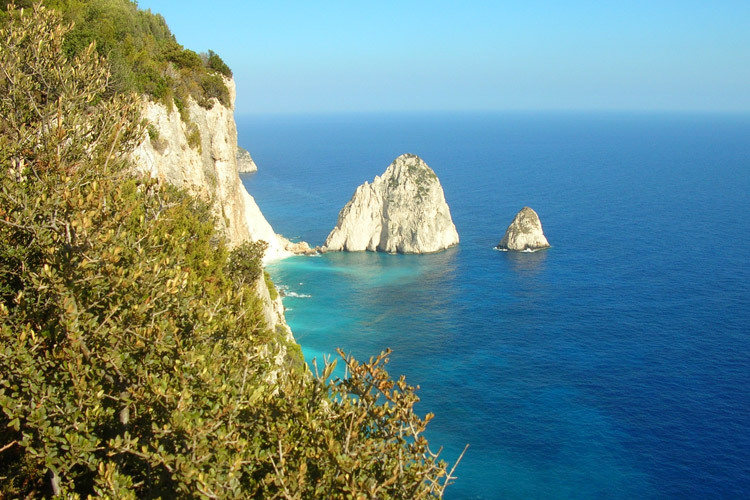 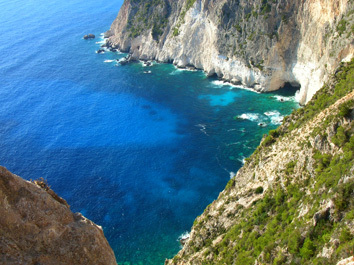 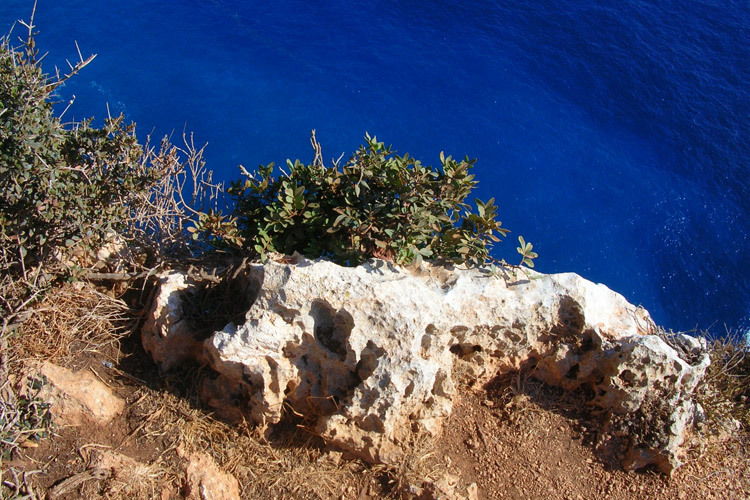 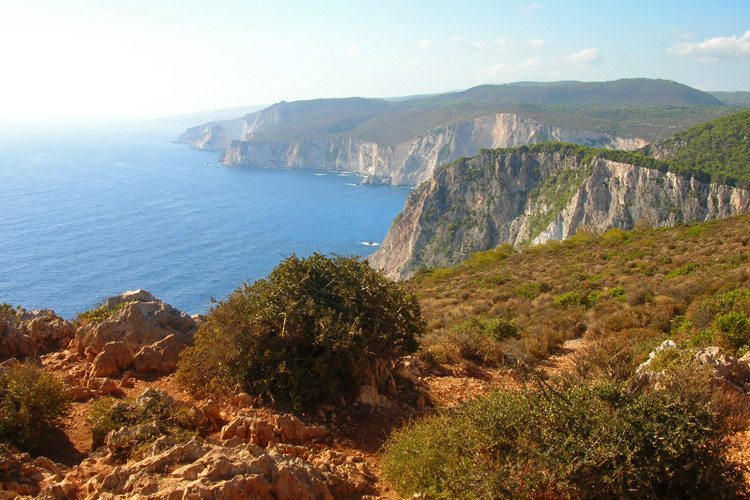 The sight from this place, particularly on a clear day, will be an unforgettable moment of your holiday in Zakynthos, especially because by moving along the small lighthouse, you have the possibility to see, from the top of the cliff, the Mizitres. 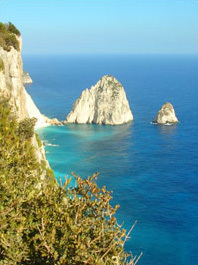 The Mizitres are two huge rock cones flanked by a deserted island rising from the blue sea and signing the beginning of the Kerì Caves. 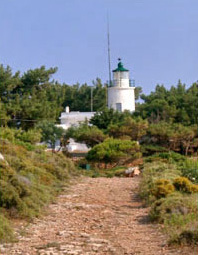 From the lighthouse leaving behind you the car park and following the small path on the right, after 250 metres, you can reach a small natural terrace; we prefer not to describe the sight because pictures are better than words.